November is Native American Heritage Month! 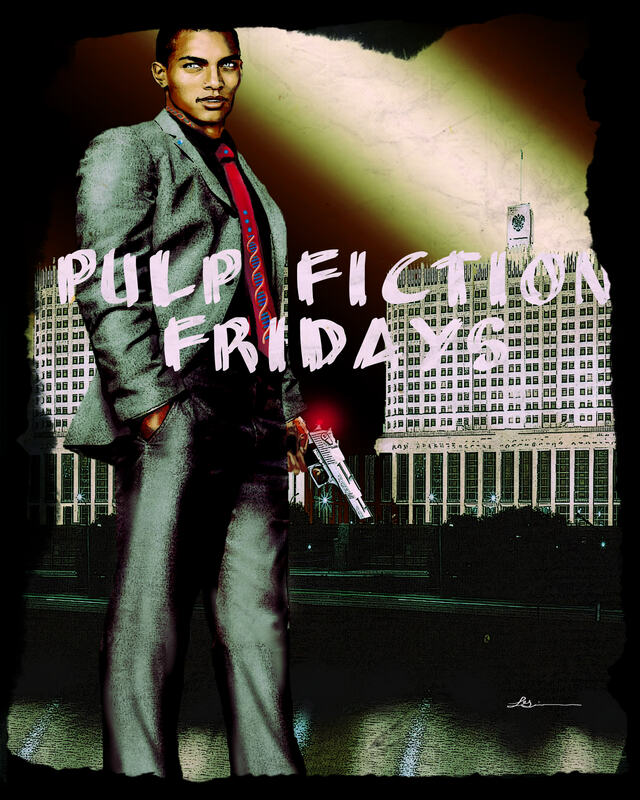 To celebrate, each Friday will continue to be devoted to Pulp Fiction. Authors will contribute a post discussing pulp, mystery, spies, and whodunits in the realms of science fiction and speculative. Welcome to Tommy Hancock as he discusses the definition of pulp, its future, and the publishing of pulp. I’m a Pulp Writer. I also happen to be a Publisher of Pulp, New Pulp specifically. I’m also a fan of Pulp, both Classic and New and nearly every stripe of it in some form or fashion. So, the question could be asked…and has been by those wearing slightly confused looks on their faces… Why would anyone choose to be a Pulp writer? The reason this question gets asked and is actually worth the breath it takes to say it requires a bit of explanation on what one means when one refers to ‘Pulp’. Now it must be prefaced that, although there are aspects of what I am about to say that are factual, my view of what Pulp is my own and, though my view is shared by others, this take on the nature of Pulp is not the only one making its rounds. But it is mine and how I define not only what Pulp means but how I fit into it. The term ‘pulp’ in regards to fiction came from the use of Pulp paper by Publishers to print cheap magazines beginning around 1896, a practice that became very prevalent in the early 20th Century. The stories printed in these magazines were usually genre fiction, normally very plot driven and, although characterization was usually flimsy, the characters were at least normally presented as larger than life. The heroes were as straight and pure as an arrow made of white bread and the villains were ultimate mustache twirlers, whether or not they had facial hair to twist. Westerns, detective stories, tales of heroes like Doc Savage, romance yarns, even sports stories all found their ways into Pulps over about a 50 year period, and into the hearts of fans and collectors. Pulp magazines experienced a huge popularity in the 1930s and into the 1940s, partially because the price of the magazines appealed to a Depression and then War torn America and the stories were as engaging for the blue collar worker as they were for his white collar boss. Due to a few arguable points, the popularity of Pulps faded and the actual magazines vanished from the newsstands by the mid 1950s. By then, however, something had taken place and Pulp had come to mean more than just the paper quickly produced stories were written on. Trigger warning- This is the part where my opinion of what Pulp is may veer from beliefs others have. My take on it often leads to debates, arguments, and heated verbal battles that redefine flame wars. You have been warned. Even though Pulp magazines themselves were pretty much nonexistent by 1955, the influence and effect of what had gone on on those pages was just beginning. Authors that we now consider classic American writers – including Isaac Asimov and Louis L’Amour, just to name two – found their first voice in Pulp magazines. It can be argued that one of the greatest genres ever, Science Fiction, really found its footing in Pulp magazines. A lot of credit for the future of popular literature today can be laid at the feet of Pulp Fiction and I think the greatest contribution of those magazines and the writers and editors behind them was that by 1955 Pulp had gone from being a medium for delivery of these stories to a style of writing all its very own. New Pulp is the term given to what others and I write today and most definitely to the type of fiction I publish. It’s a moniker that has really come into use heavily in the last five or six years. Having said that, I believe New Pulp has been written since the last Pulp magazine was printed. That’s what New Pulp is, fiction written in the Pulp style after the end of the ‘Pulp Era’. For the most part, that is the biggest distinction between Classic and New Pulp. Lester Dent, Walter Gibson, Norvell Page, Charles Boeckman, they all wrote stories that were printed in the Pulp magazines when they existed. 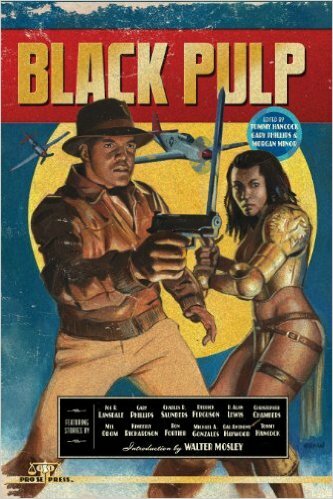 Those of us who came after that era, what we write is New Pulp. Now, with that in mind, there is another significant difference between Classic and New Pulp. Classic Pulp, particularly Pulp during its most popular period, belongs to a specific time, holds a certain place in the past. Because of that, it is defined, for better or worse, by the period it was written in and the social, legal, and general mores of that era. Although New Pulp could be divided into periods, the fact that it essentially started when Classic Pulp ended due to the end of the magazines, New Pulp grows and shifts, or recedes and changes, depending on your viewpoint, as the world around us and society itself does the same. Topics are tackled now in New Pulp stories that would never have been addressed in the Pulp magazines. Characters of color and what many consider alternate lifestyles can now be the leads in stories, not simply stereotyped supporting characters or punchlines to jokes, if they appeared at all. Shades of gray are also much more prevalent in New Pulp than in its Classic parent, good guys can have dark sides and bad guys can be redeemable. So, New Pulp continues to grow and mature and expand and become something more than what it was even a month ago as new writers come into the fold and new readers begin looking for more within Pulp. That being said, understand that there is a core that is common between Classic and New Pulp. Pulp is usually fast paced, told with a sense of urgency from beginning to end. It has a plot focus, things have to be happening when the first word is read and keep happening until the last word is breathlessly expressed. Pulp also has rich, vibrant and colorful characters. New Pulp, again referring to how it differs from Classic Pulp, adds more dimensions to characters, but that offers a tricky proposition. As mainstream, or ‘literary’ literature tends to slow down and take time building characters with protracted monologues, pages of conversation over coffee or in bed, or angst riddled introspection, New Pulp does not have that luxury. Character development is massively important to make New Pulp appeal to readers, but it has to happen as the action proceeds. You have to introduce and grow your character between the gunshots, as it were, as the plot unfolds. If you want to discuss the trauma of your character losing his or her parents when they were a child, then that particular aspect needs to either unfold in a concise two or three sentences or needs to be the reason he or she is pounding bad guys into the concrete while he or she is pounding said villains. Another key part of Pulp is the use of language. Although a story can end up being so purple it is a veritable bruise of verbiage, description is essential to Pulp and makes it stand apart from other styles. Red becomes crimson, a gun becomes a gat or hogleg, love becomes unhinged passion, and so forth. No one ‘says’ anything in Pulp. They bark, snap, scream, hammer, and drill their dialogue. Yes, I know some of you are rolling your eyes, having heard the age old maxim that doing such things with dialogue tags is unnecessary and it is perfectly all right to use ‘said’ instead of these other words, and you know what? It is okay. But for me, Pulp means adding a distinction to the fiction I write, something that makes it stand apart, a visceral thing. And that comes out in how Pulp writers use, manipulate, and sometimes abuse and mangle the English language to produce wonderfully illustrative and sometimes brilliantly over the top stories. All of what came before was to get to where I am now. I write Pulp because I love the stories that gave birth to what I do today and I adore the tales being woven by some truly awesome storytellers today in the same style. In short, I am a fan. Not just of New Pulp and whatever trailblazing we all may be doing, but of Classic Pulp, of its history, of its impact, of its characters. All of it. I am a Pulp fan and that drives every word I write, every book I help a writer publish, and most assuredly everything I read for pleasure. I paint what New Pulp is with a very broad brush, using the guidelines usually that I’ve mentioned already. It amazes me how many people don’t realize they write or that they read Pulp until the style is explained to them, with copious examples. Are there exceptions? Of course, that is what proves any rule. But for the most part, New Pulp is the venue by which the style Classic Pulp gave life to continues on today and well into many tomorrows. And I’m glad to be a Pulp writer today. With the advent of multiple technologies, Pulp has a new heyday that, albeit slowly for the tastes of some, is bringing more readers and more creators across that hazy line between ‘literary’ and Pulp Fiction to the Pulp side. 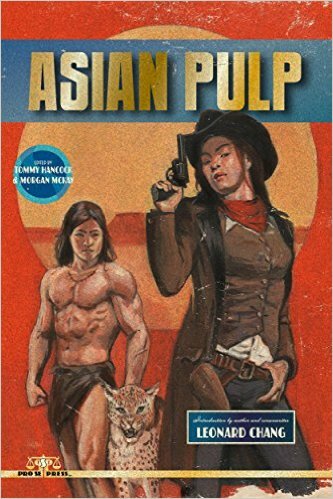 As we learn what it is and, if we already have an inkling, that it’s not just tales set in the 1930s and that it doesn’t have to have fedoras, machine guns, horses, or spaceships to be Pulp, we as a society are realizing what Pulp actually is. It’s the expression of a shared love for action and adventure, a common ground for all spectrums of society. Makes it pretty cool all by itself, if you ask me. You can find Tommy Hancock online at Pro Se Productions! 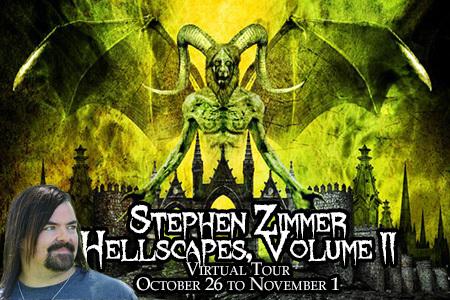 Stephen Zimmer’s latest release, Hellscapes, Volume 2, gave me many moments of pause. Many times, I simply had to stop and ask what the hell (pun intended), was going on. I’m not a horror fan per se, but I grew up on a steady of diet of Stephen King, Shirley Jackson, and 80s horror flicks. So, I didn’t anticipate it. And I absolutely loved it! First, a brief overview of Hellscapes, Volume II: Return to the nightmarish, shadowy realms of Hell in the latest installment of the Hellscapes series by Stephen Zimmer. Six brand new, macabre tales of the infernal await you … but be that you only visit these realms, you do not want to share the fates of the inhabitants you will encounter! Dense in places, the first story, The Cavern, made me genuinely concerned for the protagonist, Nicholas. A foreign place, a desolate arid stretch of land with no memory of how he got there, Nicholas is hurdled from one section to another, each time fear grips him and tosses him about like a ball. I won’t spoil the twists, but this particular story had me on edge. Slow to start, once it got to the meat of the action, the suspense was taunt! I was virtually turning pages as fast as my e-reader would let me! Parts of it felt like “The Most Dangerous Game,” but with a horrific additions. Yet, glorious redemption and escape do not await him. The Riot called upon a lot of emotions for this reviewer in light of recent police brutality against people of color. Zimmer’s description of Officer Marsden’s behavior, brutality, and beliefs already made me uneasy, but I know it would pay off in the story. I wasn’t disappointed. The officer is almost cliche in his nastiness, but as a reader I still couldn’t wait for him to get his comeuppance. It did not disappoint. This one held a few horror cliches, but I did enjoy the story nonetheless. Above as Below, the third story in the collection, conjured scenes from the movie of the same title. Quickly, those thoughts were dispatched, for the setting takes place in an area of high cliffs and gusty winds on a mountain, not the beneath the streets of Paris. An attack by wretched wraiths turns an already unpleasant boating trip into something much, much worse. Gale, a pun as the wind gales create trouble for the two protagonists, is a typical female heroine in a horror story. This is a multi-layered story, in that the setting shifts from just being a story about a woman and her friends trapped on the mountain. As the title suggests, there are other things below, in the ocean waters, and above dangerous things–and not the same things. There are three more stories in this harrowing anthology. If you want Halloween type thrills, wicked turns, and hideous monsters that aren’t friendly to humans, this is definitely the anthology for you. 5 Stars for scaring me to death and giving me nightmares! I loved every minute of it. Stephen Zimmer is an award-winning author and filmmaker based in Lexington Kentucky. 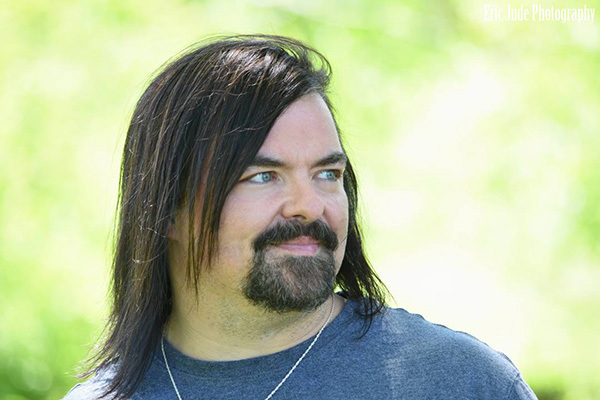 His work includes the cross-genre Rising Dawn Saga, the epic fantasy Fires in Eden series, the sword and sorcery Dark Sun Sawn Trilogy, featuring Rayden Valkyrie, the Harvey and Solomon Steampunk tales and the Hellscapes and Chronicles of Ave short story collections. Contest Information for the Hellscapes Volume II Tour You can win a new KindleHD!! Welcome to Fall Into Horror with Mocha Memoirs Press! Mocha Memoirs Press is celebrating the new Fall season by showcasing their love of horror and the authors who write it. Please welcome TOM OLBERT as he shares his thoughts on fall and horror. WHAT LIVES IN THE DARKNESS? And fall is here. Only just, but its chill fingers can already be felt creeping up our spines. Before we know it, the leaves will turn, the days will shorten, and the shadow of the equinox will creep in silently in summerâs wake. The time of transition, when, it is said, the veil between this world and the next runs thin, and spirits walk the earth. Time for tales of horror to slip under the wire of our reason and stoke the fires of our nightmares. Horror takes many forms, both subtle and gross. Ghosts, vampires, werewolves and ghouls. The shadows of arcane superstition that never stop haunting us, even into this digital age. The unknown touching our primal fears from the inky blackness of the dark. But, thereâs another kind of horror, too. The horror of the dark places within the human mind and the dark places buried deep in the human soul, where we fear to look, perhaps even more than we fear the darkness outside. The demons we carry within are the ones we can never escape. Such evil can take many forms. Like the shadowy figure of Jack the Ripper skulking in the shadows of dark, misty, gas lit midnight streets, transcending time and space, a seemingly eternal horror that will always be with us. Because such evil is waiting to be born in the depths of each human soul, and will never die. In my novella âBlack Goddess,â I tried to explore those dark depths we call evil. The evil of the torturer. Of the murderer. The evil of hate and revenge and unimaginable cruelty that defies all reason and devours the soul of both victim and victimizer. Such darkness has been with us from the beginning, in particularly dark chapters of history, taking on forms of evil so pure, so horrific that our darkest dreams pale in comparison. The eternal question presents itself to a troubled young man who has seen evil up close and intimately: Is evil merely a random perversion of human emotion spawned by violence and chaos, orâ¦is evil a primal force, like a dark infection stealing its way into the human soul, feeding on it from within like a parasite, until nothing beside remains? The protagonist of âBlack Goddessâ becomes obsessed with the nature and essence of the evil that has destroyed his life and his faith. His search for answers evolves into a dark quest that is destroying him, little by little. The closer he draws to the dark, forbidden cosmic truth at the heart of the darkness, the more he hungers for it to the exclusion of all else, like a drug addict endlessly seeking his next fix. He has given his life, and possibly his soul to a dark experiment through which he reaches closer and closer to the center of time and space. What will he find at the center of creation? God, or Satan? When he looks into the mirror of the first moment of time, will he find light or darkness at the core of his own soul? What can any of us expect to find, when we peel back the layers of sanity we show to the world, and face the darkness we carry inside? Comment below and click on the rafflecopter options below for a chance to win the tour prize, a $25 Amazon Gift Card! Mocha Memoirs Press, LLC is a genre-oriented publishing company. Their vision is to provide an outlet for outstanding speculative and romance stories that often fall beneath the radar of traditional publishing houses. They seek to provide quality stories that invigorate the readerâs literary palette like a good, strong coffee. Like great coffee houses, they offer a variety of flavors. They publish stories in the following genres: science fiction, fantasy, horror, and romance, including the sub-genres of steampunk, cyberpunk, diesel punk, alternate history, weird westerns, and mash-ups.